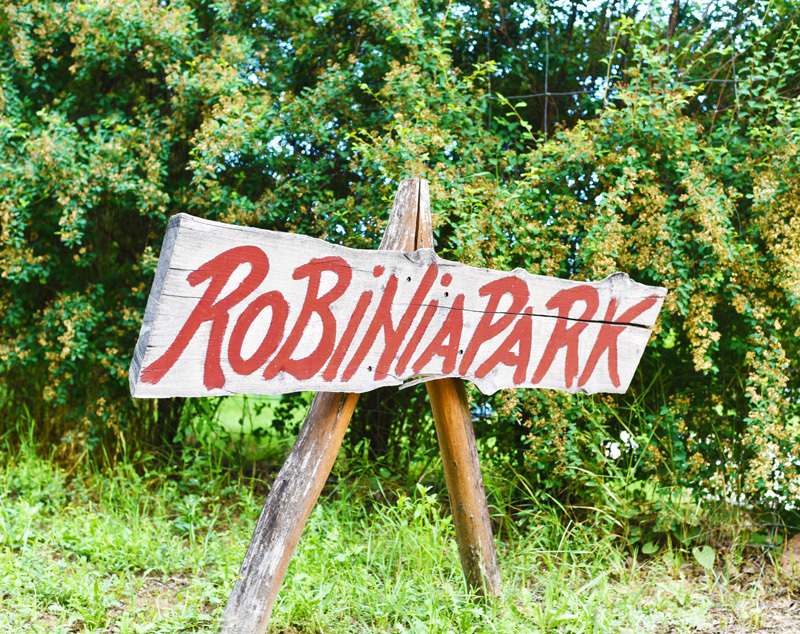 When you arrive at Robiniapark, you can count on a warm welcome. Our administrator Szabó Gábor welcomes everyone, shows the guests around and hands over the key of the vacation home. Szabó makes sure the guests of Robiniapark lack nothing and can be reached by telephone for all questions. 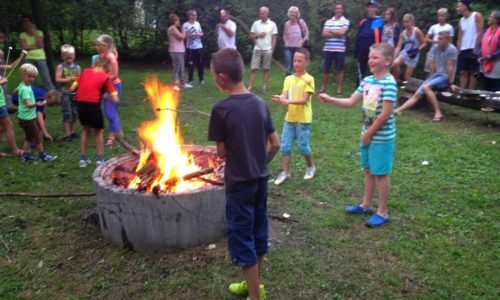 Every evening a pleasant campfire can be made. 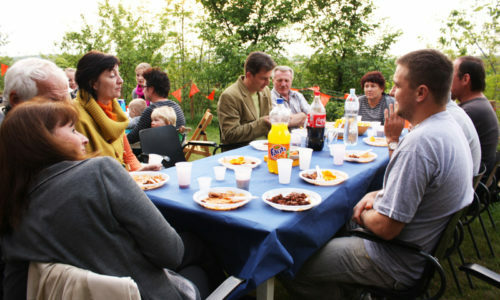 Ari (the owner) regularly makes goulash and all the guests are welcome to enjoy this delicious dinner. The fun part is, that everyone can help with cooking too! 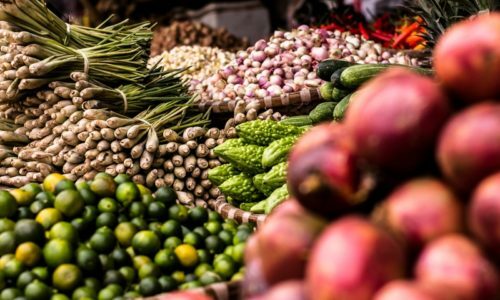 There is a market for regional product several times a month in the village of Szólád. You can buy local salami, wine, cheese, fruit juices and many other delicious local products here. 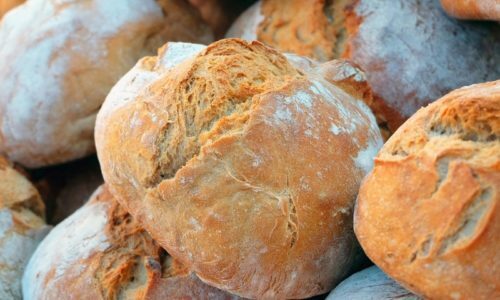 The baker occasionally comes to the park in the morning, bringing fresh bread rolls with him. The gray and brick red colored roof houses have been built. The houses with white roofs point out empty plots, of which a few plots are still for sale. When you arrive at our park, you will see house 15 on your right hand side and plot 23 on your left. The northeast side (plots 10 to 15) and the southeast side (plots 16 to 23) are fenced. On the western side (plots 1 to 8) the difference in height is so large that fencing is not necessary. 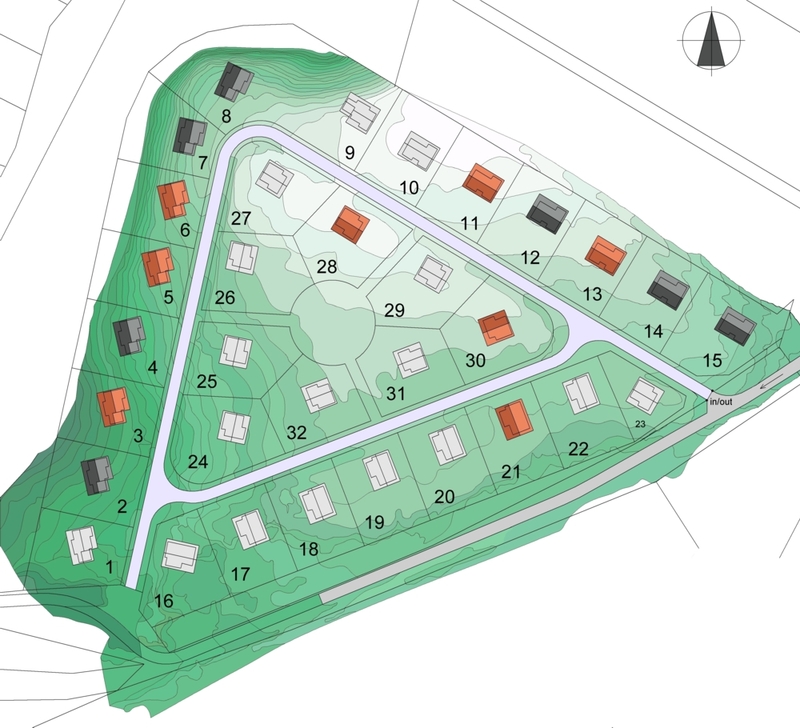 Plots 1 to 8 are the perfect plots for houses that are built partly underground. The lower part is built in the ground for two thirds. The windows and doors are found on the northwest side, in that way the sun will not be on it during the day. Consequently, the bedrooms in the basement are nice and chilly during summer. The northeast side (plots 10 to 15) is where the fields and the connecting vineyards start. Behind the vineyards a wooded area is located. The western side (plots 1 to 8) goes down into a woody strip, overlooking a side street of the village (the Arany János utca). The average difference in height is 40 metres. Beyond this side street the hill goes up again, after which you will find the beautiful Lake Balaton. The southern side had a view of the hinterland of Szólád and the Somogy province. This hinterland is wooded and alternated with fields where mainly sunflowers and maize grow.